Apple has announced its second quarter earnings for 2018, and it’s looking pretty strong. The company from Cupertino reported that it earned a revenue of US$61.1 billion (~RM240 billion) during the quarter, with US$13.8 billion (~RM54 billion) profits. The company reported that it had posted a year-over-year revenue growth in all five of its market regions. The region with the highest revenue growth of was Japan at 22%, followed by China with the second highest revenue growth of 21%. The lowest growth was recorded for the Asia Pacific region at 4%. The majority of those sales stems from its iPhones, of which the company reportedly sold 52.2 million units in the second quarter. This is an increase of 1.4 million iPhones sold compared to its second quarter sales of 2017. 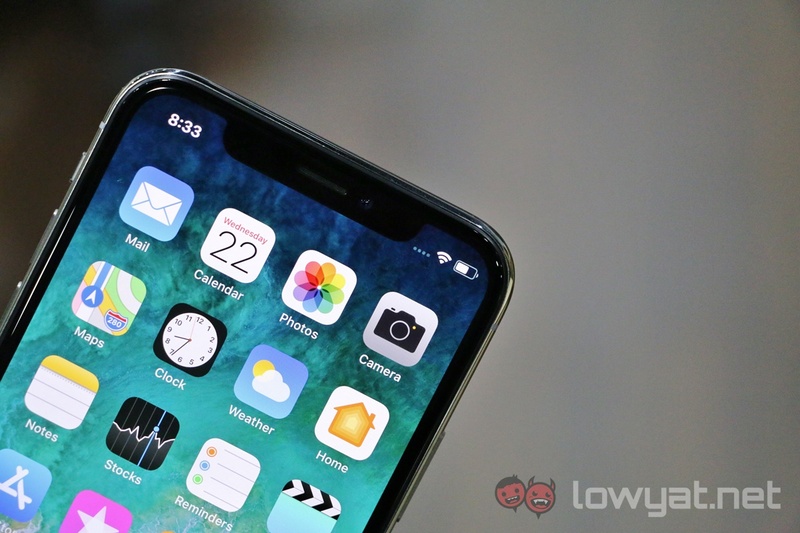 Apple noted to its investors that there was a 95 customer satisfaction rate for all its iPhone models across the board, with 99% of those customers being users of the iPhone 8, iPhone 8 Plus, and the iPhone X.
Macbook revenue saw no increase the second quarter, remaining flat at US$5.8 billion (~RM22.84 billion). Wearables revenue was up by 50% this quarter, with its bestsellers being the AirPods, Beats, and Apple Watch. Tim Cook, CEO of Apple, described the AirPods as a “runaway hit” with Apple fans. Additionally, Cook also told investors that paid subscriptions had surpassed 270 million subscribers. Up from 100 million subscribers from a year before, and more than 30 million users from the previous quarter. Purchases from the App Store hit an all-time revenue record in March, while paid subscription for Apple Music surpassed the 40 million mark. 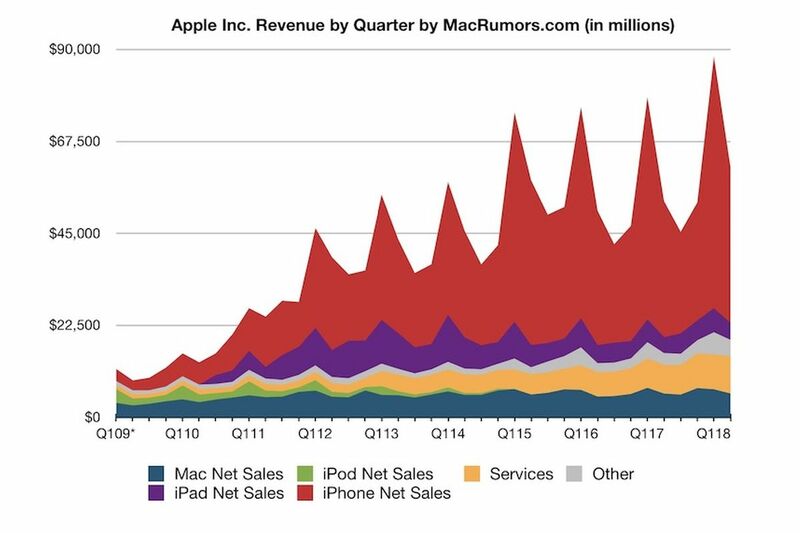 Apple also saw a growth in sales and revenue for its iPads. 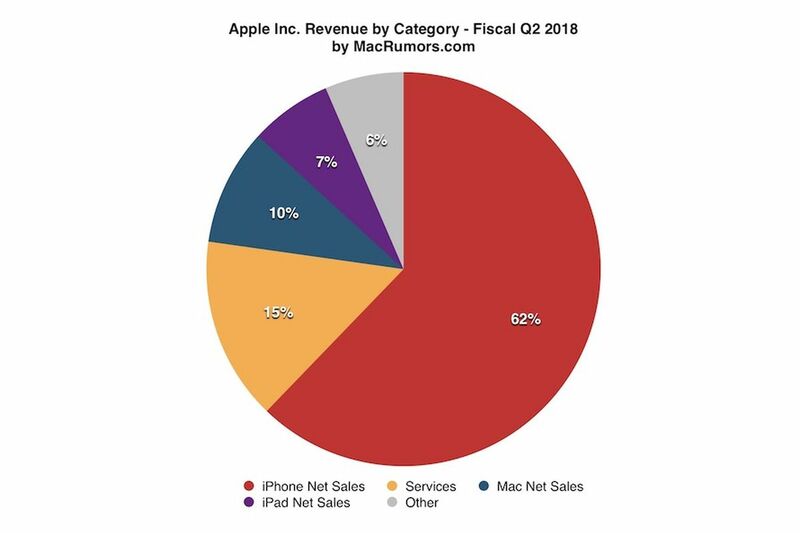 The company sold 9.1 million iPads during the first quarter of 2018, with active installed base of iPads having reached an all-time high. According to IT industrial analyst firm, 421 Research, iPad customer satisfaction rates hit 95%, while 73% of business customers who intend to purchase tablets in June this year indicated that they would be getting an iPad. Luca Maestri, Apple’s Chief Financial Officer, had also informed investors that Apple has a net cash position of US$145 billion (~RM570 billion), and that it had returned nearly US$27 billion (~RM106 billion) to its investors for the quarter. 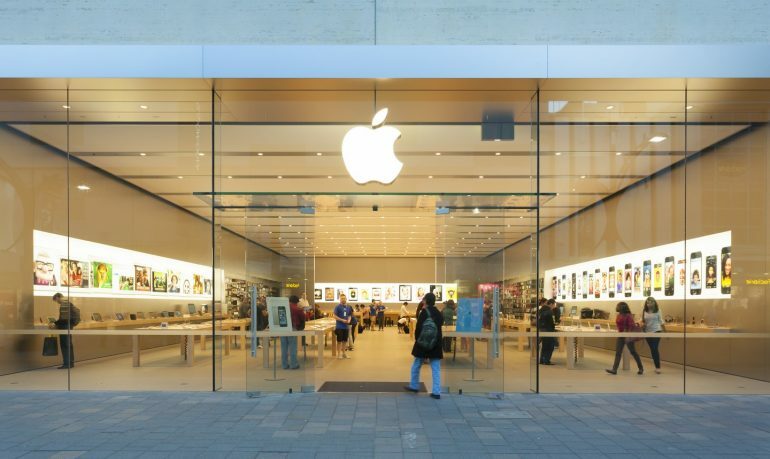 To that end, Maestri told investors that he expected Apple’s revenue to hit between US$51.5 billion and US$53.5 billion (between RM202 billion and RM210 billion) by June this year, with a tax rate of approximately 14.5%. On that note, Maestri said that Apple would be increasing its dividends to 73% per share, up from 57%. The increase is expected to take effect immediately, with the next payouts set for 17 May 2018.